Berl Saddle, Ceramic Berl Saddle Supplier, Gujarat, India. 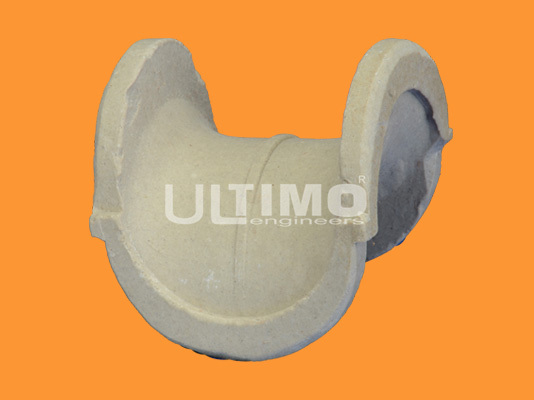 Ceramic Berl Saddles are early developed Tower Packings with special shape of saddles. Having both internal and external surfaces entirely open, Distribution of Vapour-Liquid is entirely same at both sides. Comparing with Raschig Ring, Berl saddles creat lower pressure on the column wall. Berl Saddles are often super posed each other while filling them into column because both inside and outside surfaces have the similar shapes. Resistance to high Temperature and Pressure, acid, alkali, salt and various organic solvents. It is made chemical grade white porcelain with exceptionally good chemical resistance except HF and strong alkali. It is also available with glazed (smooth) or unglazed surface finish. It is most suitable for Sulphuric Acid Applications.